Presentations and Videos from SWW2012 are available now! 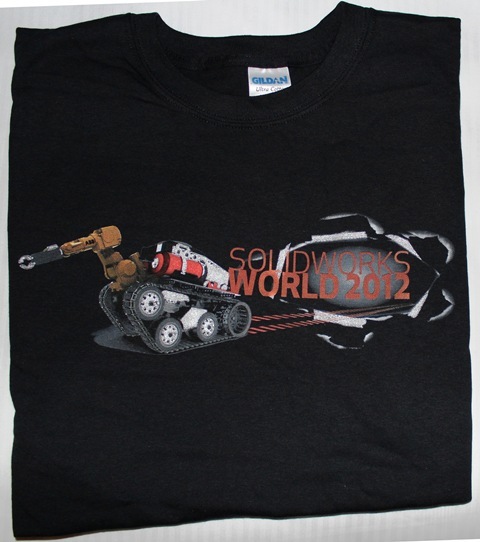 I hope every at enjoyed their time at SolidWorks World 2012, San Diego, California. It was great to be part of the event and meet lot of people. This year also there were lot of interesting presentations and hands o sessions were done. And like everyone, I was also waiting for them to get these presentation and videos upload for assess to everyone. 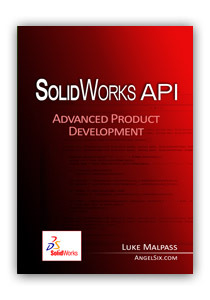 So the wait is over now and the SolidWorks World 2012 proceedings site is now available. 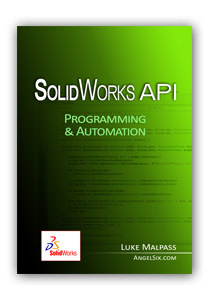 Visit http://www.solidworks.com/sww/proceedings/ to access the proceedings information. Be sure to take full advantage of this year’s proceedings site. Watch breakout session videos, download breakout session PowerPoints and check out photos from this year’s event. Also, view the 2012 highlights video and videos from general session each day. Hope to see you at SolidWorks World 2013, January 20-23, at the Swan and Dolphin Hotel, Walt Disney World Resort, Florida! This entry was posted in Events, General, News, SWW, SWW12 and tagged Presentations, Proceedings, SWW, SWW12, SWW2012, Videos on March 20, 2012 by Deepak Gupta. It was a nice weather on Tuesday 14 in San Diego and every one was enjoying the SolidWorks World 2012. It was the day when HP unveiled the world’s first all-in-one workstation with a 27-inch diagonal display at a press luncheon. Designed like no other, the display of the new HP Z1 Workstation snaps open so users can easily swap out parts and make upgrades without any tools required. The HP Z1 combines a sleek industrial design with accelerated performance featuring Intel® Xeon® processors, NVIDIA Quadro graphics, support for more than 1 billion colors and HP’s world-class reliability. Built for computer-aided design, digital media and entertainment professionals, the HP Z1 provides blazingly fast rendering and performance. It offers a full range of workstation-class graphics cards and processors, and is thoroughly tested and certified to work with today’s leading industry applications. Workstation performance. Features professional NVIDIA Quadro graphics, ECC memory, quad-core Intel Xeon processors, independent software vendor solutions and whisper-quiet acoustics. Tool-less chassis. Users can easily add a hard drive, upgrade memory or access the graphics card by snapping open the chassis to swap out parts. Workstation-class storage. Users can choose from a variety of storage types, including 7.2K and 10K SATA, SSD, optional RAID configurations, removable drives (AMO), a multiformat media card reader and optical drives including a slot-load Blu-ray Writer. Professional display. The 27-inch white LED diagonal display supports more than 1 billion colors and features a wide, 178-degree viewing angle and an in-plane switching (IPS) panel. High-fidelity audio. Front-facing dual-cone speakers and SRS Premium Sound offer high-fidelity audio. High-definition Webcam. Have face-to-face meetings and see every detail right down to the twinkle of an eye. Also captures HD-quality video. HP Remote Graphics Software. Users can work remotely while still accessing the high-performance 2-D, 3-D, video and media-rich applications they count on. HP Performance Advisor. Reduces the time spent troubleshooting by providing a consolidated report of the workstation’s hardware and software configuration that can be used to tune the workstation for specifically professional application workloads with just one click. The new HP Z1 Workstation is expected to be available worldwide in April. Pricing starts at $1,899 in the United States. Additional information is available at www.hp.com/z1. This entry was posted in Events, General, HP, News, Solidworks, SWW12 and tagged Conference, CSWE, CSWP, Event, HP, PartynFun, Presentations, Press Release, san diego california, san diego convention center, SWW, SWW12, SWW2012, Workstation on March 10, 2012 by Deepak Gupta. SolidWorks World 2012 General Session Day 1 Highlights!! I know I’ve been really late this year to talk on what was all there at the SolidWorks World 2012 in San Diego. And I’m really sorry for that but would like to thank my reader for still appreciating my blog. Every year at SolidWorks World amazing things happens. But there is one common thing which happens at every SolidWorks World. Can you guess?? Well she is Anne Yust, always the first person to enter through the door for the general sessions at SolidWorks World. This year there were 5650 attendees from 33 different countries under one roof to celebrate SolidWorks World 2012. The general session was kicked off with some cool animations of NAO robot band which are designed in SolidWorks. Up next on the stage was SolidWorks CEO Bertrand Sicot. He announced about growing number of SolidWorks attendees in comparison to around 4,300 attendees at SolidWorks World 2008 here in San Diego. SolidWorks community has now grown up to 1.7 million users worldwide. As per him if they were to create a city of all the SolidWorks users, it would be the fourth largest city in America. Sicot then mentioned about my friend Daniel Hertzberg, who was an intern at SolidWorks. He has been operated for his heart valve and amazing thing was that the heart valve was designed by a company called On-X Life Technologies using SolidWorks. The amazing thing about these heart valves is that unlike other artificial heart valve recipients, the person having these new heart valves doesn’t requires blood thinners. This is really impressive. Finally it was time of the surprise we all were waiting for and here he comes. Mike Rowe, host of Discovery Channel’s Dirty Jobs and CEO of mikeroweworks.com. Mike talked about how the show came in as a tribute to his grandfather. After the first show was aired he received so much mail from people taking about various things and emotions related to show that it was further converted into a series. So far over 150 episodes have been aired with over 300 dirty jobs. The show has been filmed in all 50 states. Mike said that when he got the invitation for the SolidWorks World 2012, he thought “it’s a convention for SolidWaste management“. Bertrand then talked about the feedback received on some of the new features of SolidWorks 2012 like Costing Tool, Large Design Review, Equation dialogue and Magnetic Lines. He also introduced the R & D who works in the background to make these cool things possible. DraftSight has been downloaded more than 2 million times since it has been released for use. DraftSight is free 2d tool for editing/viewing your CAD files. Increased number of Certified SolidWorks Professionals and now there are more than 50000 CSWP’s around the world. It feels nice to be a part of CSWP community. He also pointed out the number of job openings increasing per day demanding SolidWorks knowledge as compared to few other 3d tools. NEPTUNE is the world’s first underwater observatory network. It includes more than 130 instruments and 400 sensors in the northern Pacific, linked by over 500 miles of cable—all connected to the Internet and constantly collecting data. This data is available freely to a community of researchers around the world, twenty-four hours a day. The public can also take part and make discoveries, and this combination of professional and hobbyist research is leading to new insights about the ways in which our oceans work. He talked about the origins of the iPod and showed his latest product, Nest, a digital thermostat designed to learn and can be controlled from anywhere even from your iPhone. This entry was posted in CSWE, CSWP and CSWAs, Events, General, News, Solidworks, SW2012, SWW, SWW12 and tagged Conference, CSWE, CSWP, Event, PartynFun, Presentations, san diego california, san diego convention center, SWW, SWW12, SWW2012 on February 26, 2012 by Deepak Gupta. SolidWorks World 2012 Day 1 Highlights!! Please note: All individuals will be required to show proof of identification prior to collecting their badge and registration materials. Attendees must be 21 years or older to attend SolidWorks World 2012. Also residents of some countries may require a visa to enter the United States. This entry was posted in CSWE, CSWP and CSWAs, Events, General, News, Solidworks, SWW12 and tagged Conference, CSWE, CSWP, Event, PartynFun, Presentations, san diego california, san diego convention center, SWW, SWW12, SWW2012 on February 13, 2012 by Deepak Gupta. By the way, the free CSWA/CSWP exam has already started. So if you’re at the conference center, check out the certification testing area for more details. This entry was posted in Contest, CSWE, CSWP and CSWAs, Events, General, News, Solidworks, SWW, SWW12 and tagged Conference, CSWA, CSWE, CSWP, Event, Presentations, san diego california, san diego convention center, SWW, SWW12, SWW2012 on February 13, 2012 by Deepak Gupta. For manufacturers working with industrial fabrics, such as those in automotive, marine, aerospace, furniture, apparel, architecture etc., a new breed of tools is emerging – tools that have integrated functionality that previously did not exist on the same platform. Manufacturers adopting these tools and related processes are poised to realize noteworthy improvements in design, engineering and production speed while containing fixed costs. ExactFlat Design Studio is a Revolutionary New Product Which Brings Digital Design Directly to Production & Manufacturing. ExactFlat Design Studio works inside the SolidWorks CAD environment and brings exceptional productivity benefits to users – up to 400% faster or twice the amount of work in half the allotted time for many design tasks. Tri-D Technologies Inc. will be demonstrating ExactFlat Design Studio at the SolidWorks World 2012 at the San Diego Convention Center, February 12 – February 15, 2012, San Diego, CA at booth 724. This entry was posted in CSWE, CSWP and CSWAs, Events, General, News, Solidworks, SWW12, Tri-D Technologies Inc. and tagged 3d to Flat, Conference, CSWE, CSWP, Event, ExactFlat, Fabric, Flat pattern, Presentations, san diego california, san diego convention center, SWW, SWW12, SWW2012 on February 13, 2012 by Deepak Gupta. BOXX Technologies will be demonstrating their 3DBOXX XTREME workstations (the world’s fastest SolidWorks solutions) at the SolidWorks World 2012 at the San Diego Convention Center, February 12 – February 15, 2012, San Diego, CA at booth 506. In addition to the workstation demos at SolidWorks World 2012, BOXX is also providing SolidWorks World attendees with two opportunities to win a free 3DBOXX 3970 XTREME. First, BOXX is co-sponsoring (with Dassault Systèmes DraftSight) the Dream Workstation Giveaway, a scratch ticket drawing open to conference attendees. Second, in addition, BOXX is sponsoring the 3DBOXX Giveaway open to certified SolidWorks professionals and experts. This entry was posted in BOXX, CSWE, CSWP and CSWAs, DraftSight, Events, General, News, Solidworks, SWW12 and tagged 3dBOXX, Conference, CSWE, CSWP, Event, giveaway, Presentations, san diego california, san diego convention center, SWW, SWW12, SWW2012, Work Stations on February 12, 2012 by Deepak Gupta.